Valentine’s Day is so fun for my kids. They love coming up with puns for the treats we find…sometimes they get kind of crazy, but most the time they are pretty funny. I love helping create the printables and seeing their faces when they see the end result. Today we came up with a fun valentine bag topper printer for ring pops. 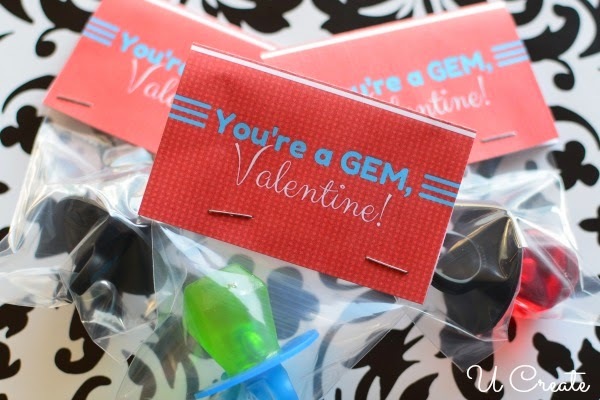 This classroom Valentine is so easy and super cute…and most importantly, we had fun putting them all together. 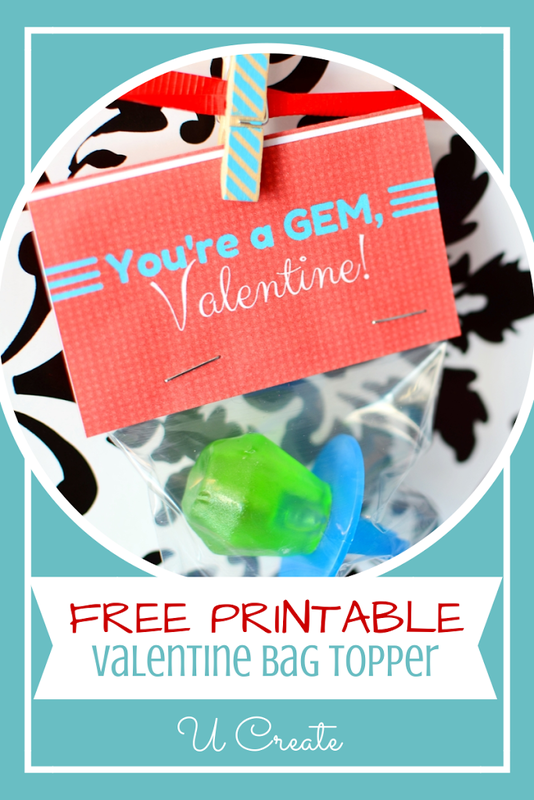 #1: Print out the “You’re a GEM” Valentine bag topper. #2: Have the little one sign all of them. #3: Cut out the topper and fold in half. #4: Put the ring pops in the little clear bags…you don’t have to take them out of the package like my daughter “accidentally” did, in fact, you probably shouldn’t. 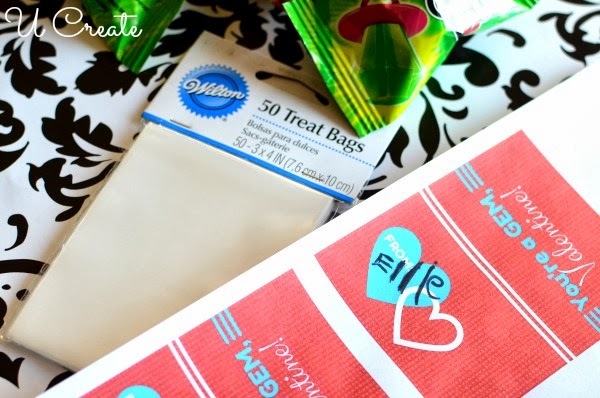 #5: Staple the topper on the bag as a way to seal it. Super cute and incredibly easy! Love this! Thanks for the printable!